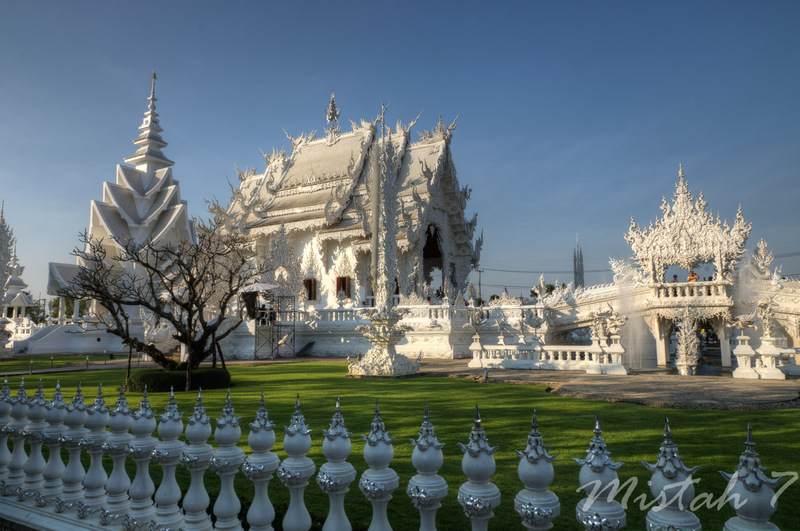 The White Temple is probably the most visited place in Chiang Rai and if you search on "Chiang Rai" with Google and choose images, probably more than 60% of the images representing Chiang Rai is of the White Temple. 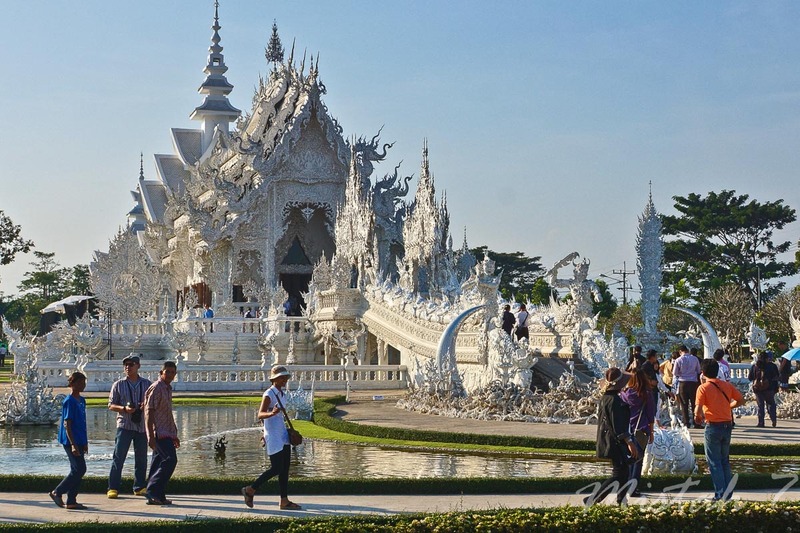 It is created by Chalermchai Kositpipat, a very famous Thai artist and designer that was born 1951 in the village where you find the White Temple. 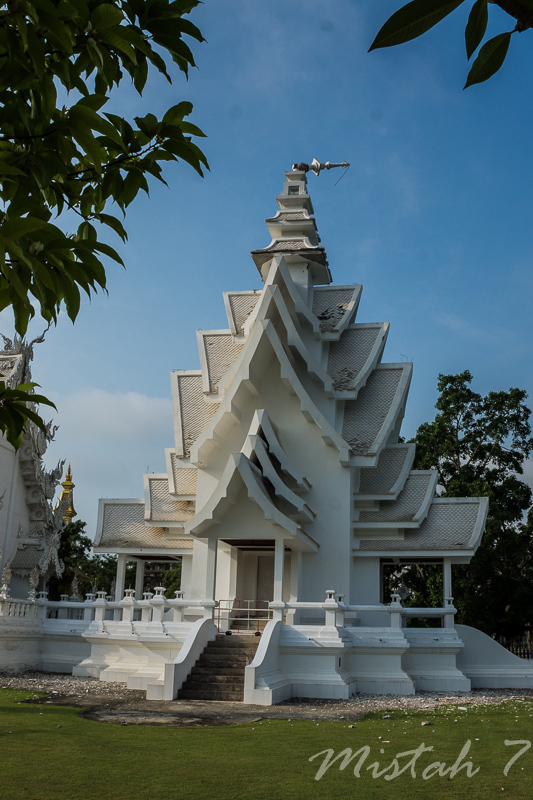 He started building the temple 1996 and it is expected to be completed 60 - 90 years after the death of the artist and designer. 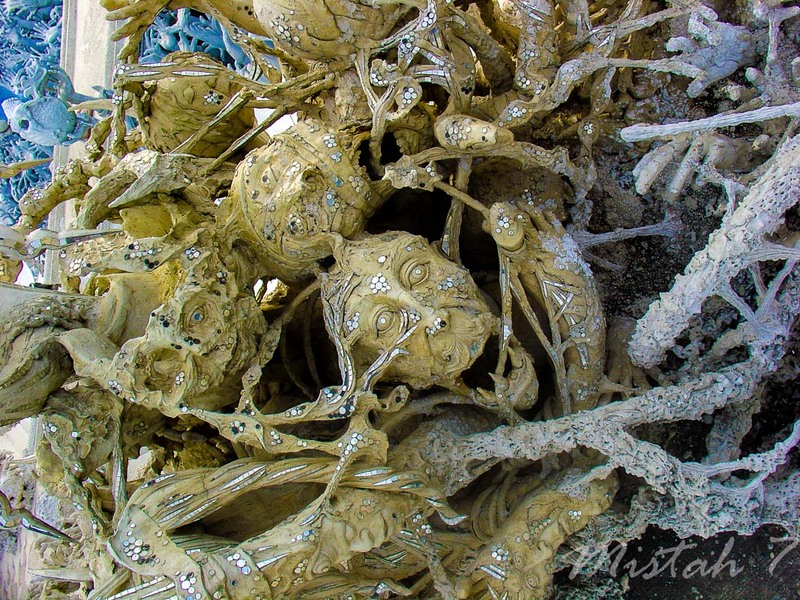 The White Temple is a part of "The Art for Land Project at Wat Rong Khun". 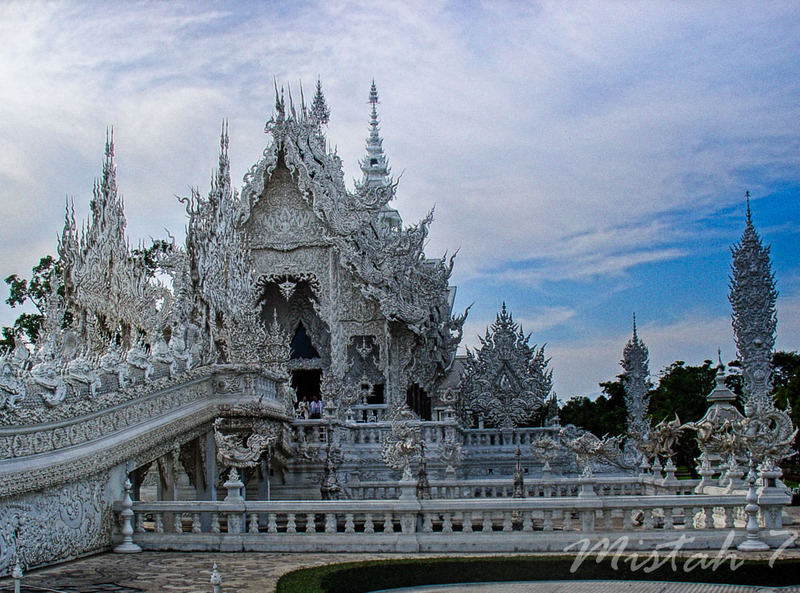 A beautiful white ordination hall—Phra Ubosot—is decorated with silver glittering pieces of mirrors. 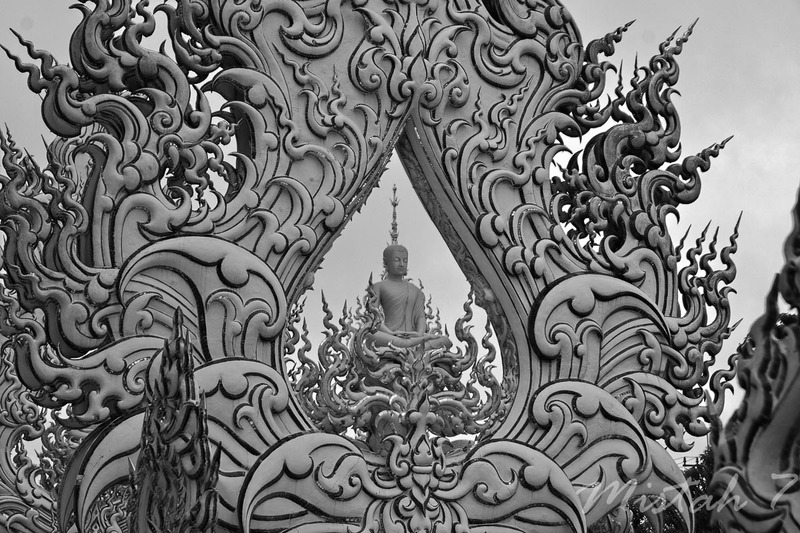 There are large mural paintings of the Lord Buddha in different gestures. 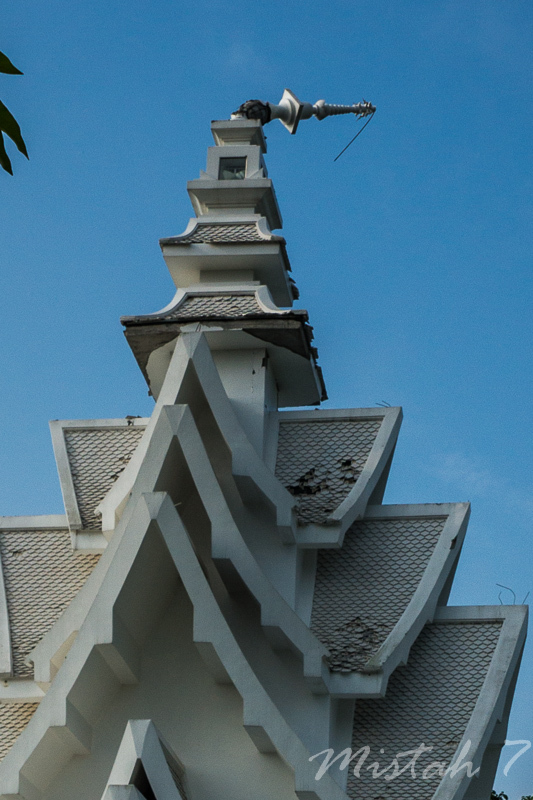 A gable is decorated with a gable apex, a leaf-shaped gable-edging in the shapes of Phya Naga, dragon and mythical creatures, which are entirely made of white stucco. 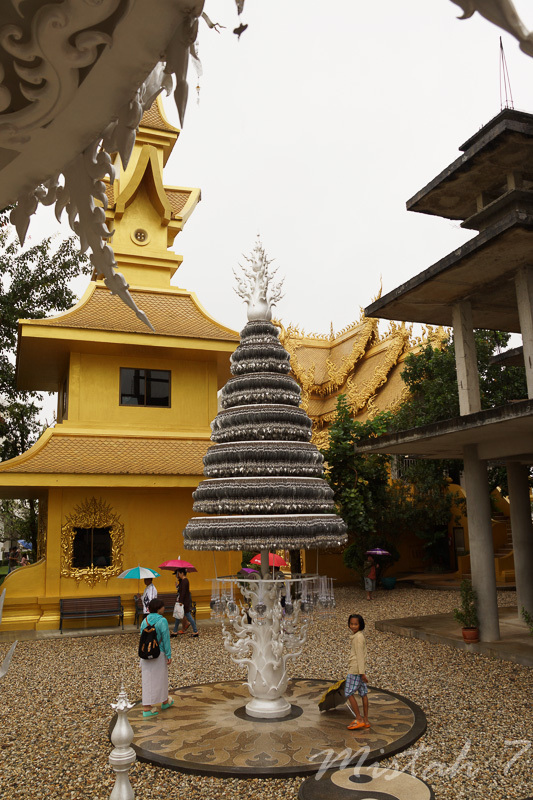 There are viharn, small halls for recitation surrounding the ordination hall, museum, and reception pavilion. 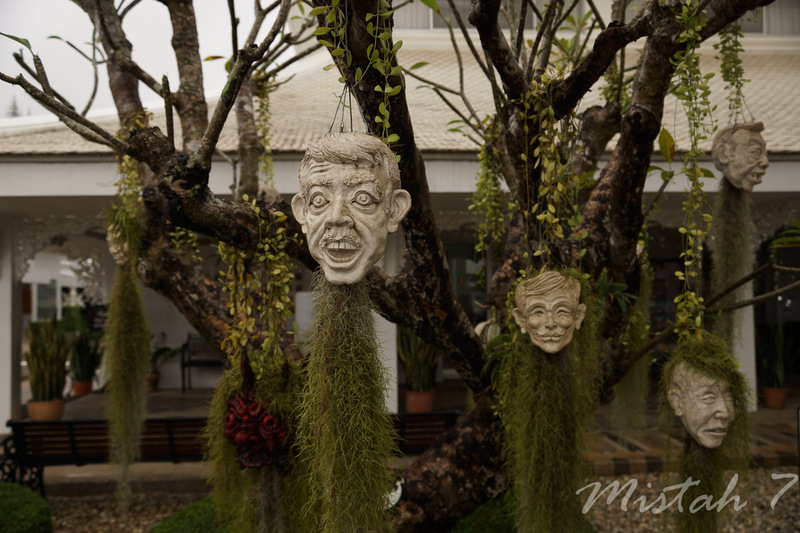 And there is a nice gallery exhibits paintings of Chaloemchai Khositphiphat.